Beautiful You: Teen Blog Series Week 9 | Fashion Icon! Teen Blog Series Week 9 | Fashion Icon! So this is the last but one instalment of the Teen Blog Series however I am not going to be in the country for the last one so this is going to be my last one on my blog. This week's post is all about our fashion icons and I know mine is going to seem really cliché but I really do love her fashion sense and we are quite similar when it comes to the fashion choices we make! 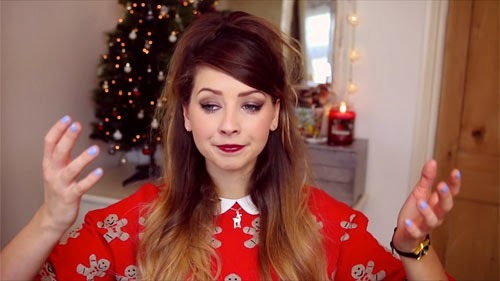 My fashion icon is the one and only Zoe Sugg aka Zoella. I love the way she dresses and she makes it seem so effortless and that is something that I strive for because I always take so long to decide what to wear in the mornings! I am going to talk about 5 things I love about Zoe's fashion in particular and I will try and get an example of each to show you guys but you all know and love her so it may be quite obvious! 1. Collars- these are sometimes really hard to style because you don't just want to wear a shirt but you find it hard to style a jumper over or something like that. 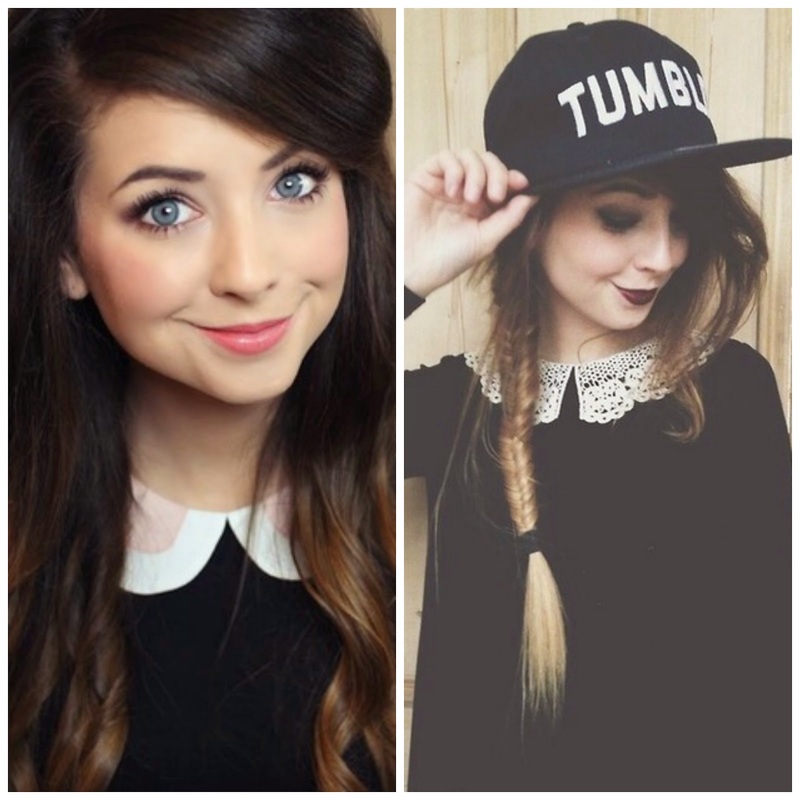 However, Zoe makes this so simple and she creates some amazing outfits that I wish I could wear. For example when she took a Christmas jumper from Topshop and simply added a white shirt collar under it, I would have never thought of doing this but it looks really nice. I will put a picture below so you can see what I am talking about! 2. Blouses/Shirts- I am a huge fan of shirts, I think they are such a simple way to make an outfit a bit more classy and Zoe is definitely an amazing example for this. She adds a shirt to a simple pair of disco pants and it adds class to a really simple outfit. Now for someone like me who is a little chunkier than herself I would pair them with a nice pair of black skinny jeans and some boots and you have a simple yet well put together outfit! 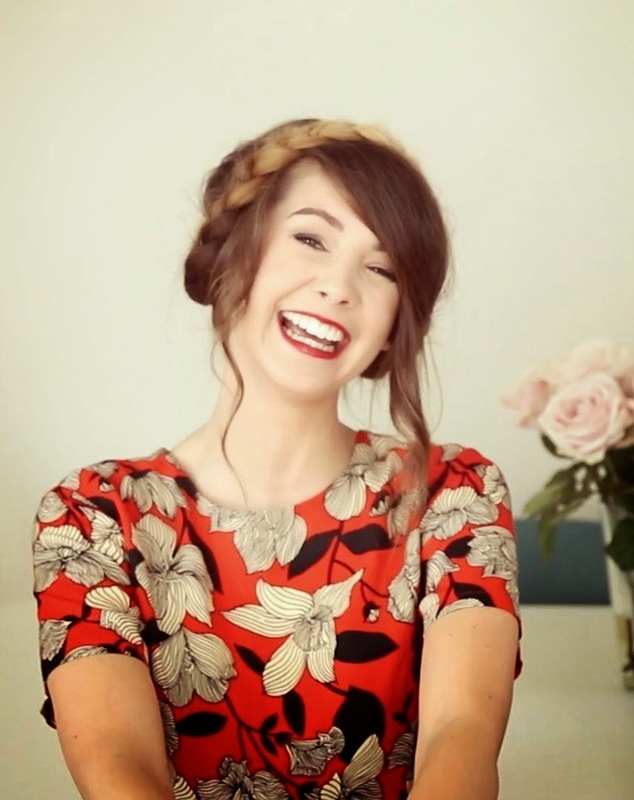 For example - the well know Zoella picture! 3. Jumpers- everyone know how much Zoe loves jumpers, they are such an easy thing to pair with literally anything and Zoe does this so well. Whether it be a jumper over a shirt tucked into a skater skirt or again with her well loved disco pants. I have really been loving jumpers at the moment over a shirt as it is getting colder and I think that a decorative collar adds that little something extra that just a plain jumper could need. 4. Simple Tees- as I said at the beginning Zoe's fashion is so effortless but it still looks so put together and this is something that she does with plain t-shirts. For example her Zz top which she used to wear a lot, she pairs this again with her disco pants, a simple skirt or a pair of leggings and it is such a simple outfit but it still looks fashionable whilst being comfy. 5. Her Love of Orange- me and Zoe both have a huge love for orange, be that make-up or through fashion and I kinda of love her a lot for encouraging me to putting more orange into my wardrobe. I have embraced orange a lot more this summer and I am glad I did because it can look so nice but it isn't a colour you really see a lot. My favourite outfit that Zoe has worn is this one below because I really loved the top and she makes wearing orange so easy! Those are just a few reasons as to why Zoe is my fashion icon, there is rarely an outfit that she wears that I don't like. I am always so excited when she posts a fashion related blog post or when she does look books because I love the outfits that she puts together! Who is your fashion icon, who do you look towards for fashion advice, leave a comment below. I hope you enjoyed seeing this post and you have enjoyed the whole of the Teen Blog Series! If you did then leave a comment below telling me if you read them all and maybe a suggestion of what you would like to see next on my blog! I will see you all on Wednesday for a post about my sisters 21st birthday!